Operators need data traffic growth to offset declining margins for voice and SMS services. They should work with handset makers to ensure that feature phones do not compromise data usage.Smartphones will make up over half of Asian mobile phone sales by 2015, with 477 million units likely to be sold, according to an industry report published online.Consultancy Frost and Sullivan (2010) said smartphones would account for 54 per cent of the Asia-Pacific mobile market in five years, up sharply from five per cent in 2009. What about here in Malta? Vodafone figures published in August 2010 indicate that BlackBerry devices outpace sales of any other smartphone (mainly iphones and other brands like Samsung) on the Maltese market. Vodafone launched the BlackBerry service in Malta two years ago. 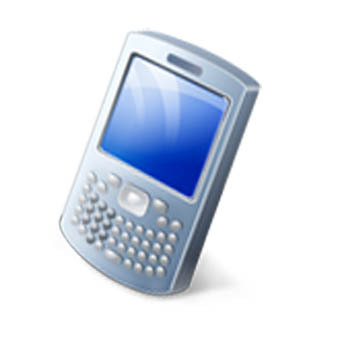 This company currently offers the BlackBerry Curve 8520 handset for EUR 270 without contract. The Curve 8520 is also available free of charge in combination with a two-year contract for a Vodafone tariff plan (source: DMEUROPE via COMTEX News Network). What does this trend mean to ethical marketers? Smartphones offer a new frontier for ethical marketing companies to channel advertising via email, as an alternative to the flat, costly and much-hated SMS promos. Smartphones allow emails to be sent, received and stored, parallel with one’s home or office service. Many software applications, traditionally accessible only via conventional PC’s, such as Word, Excel, including major media players are available on most smartphones, making file sharing and management easy and more versatile than ever before. Contrary to popular belief, smartphones are not the sole dominion of business people. Students and users from all walks of life, trades and professions are increasingly opting for smartphones (often preferred over laptops) since these handy gadgets allow them to access the internet from anywhere, giving them freedom and helping make their life easier. Now imagine being able to send emails to people on your contact list and that they can receive your mail wherever they are. Imagine you can send branded emails, emails with design, images and even video. Marketers all over the world are discovering that email is an inexpensive, personalized, effective, traceable medium for PR and publicity, seriously rivaling traditional media like TV, print media and radio. The question is how best to maximize this medium. Will you use your email account as the sender? But how can you efficiently send 1,000 emails or more via Outlook or Gmail? How can you do this in a personalized way (Dear John, Jack, Jill...) without wasting a whole morning? A solution is needed that allows one to create, send and TRACK emails. This new marketing medium comes with it set of rules, some of which are also sanctioned by law in the EU and US. These laws are set to protect us all from people who abuse of this medium. Nobody enjoys having his inbox full of spam. So marketers, for instance, must ensure recipients authorize the sender to send them the email marketing (being it a text only or image rich newsletter).